The story takes place in Seoul, 2011. Lee Yoon Sung is a talented MIT-graduate who works on the international communications team in the Blue House. He plans revenge on five politicians who caused his father's death with his surrogate father Lee Jin Pyo and eventually becomes a "City Hunter." 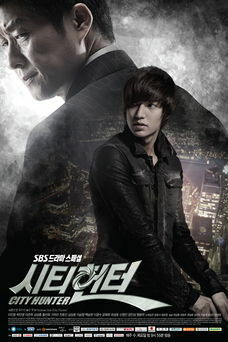 In episode 17 of Sign, the game program created by the psychopathic serial killer Lee Ho Jin (played by Kim Sung Oh) was also titled City Hunter. This page was last edited on 23 July 2017, at 11:58.